"Bathrooms are no more seen as a secondary space and are as special as any other area of the house," says a leading architect and interior designer. When Mukesh Ambani, Indias richest man, constructed Antilla, his 27-storey home in Mumbai, the brief to his designers was to build bathrooms that are the best in the world. Budget, they were told, was unlimited. The Antilla bathrooms are equipped with Sherle Wagner fixtures, which are a favourite of the wealthy across the globe. 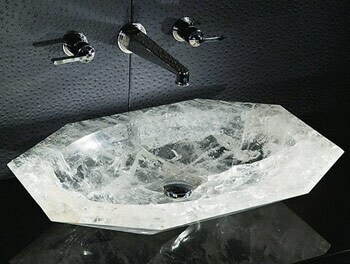 A rock crystal basin from Baldi. Billionaire Ambani is among a growing number of the connoisseurs of luxury in India who are splurging as much as the sheikhs of Gulf kingdoms or the oligarchs in Russia to ensure their bathroom is much more than a room to shower in. While businessmen are the ones who spend the most on bathrooms, film stars are increasingly keeping up with them. Essar Group Chairman Shashi Ruia and actors Shah Rukh Khan, Salman Khan and Bipasha Basu have given their bathrooms a classic finish by opting for SICIS mosaics, which uses mosaic art to handcraft every piece of tile in Ravenna, Italy. The cost of using these tiles could be anywhere between Rs 30,000 and Rs 1.5 lakh a square feet. "Bathrooms are no more seen as a secondary space and are as special as any other area of the house," says Raseel Gujral Ansal, a leading architect and interior designer and Creative Director at Raseel Gujral Ansal Worxx. Abdul Hameed Khan, a designer of luxury bathrooms, says Indians are learning to enjoy luxury. 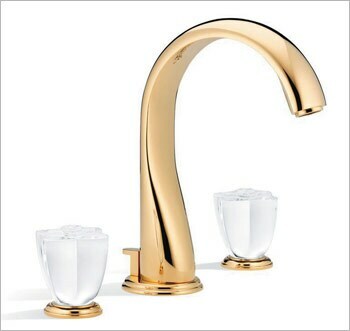 "Luxury is all about a combination of intricate and interesting materials that appeals to the eye. It is something that makes one stand out," says Khan, who is also Partner at Water Works, a firm that has brought some leading global bathroom fixture brands into India. A visual delight: The Bloch Baver collection from SICIS featuring exquisite hand crafted mosaics. Ansal, who recently completed building a house for a businessman in Kolkata which features a Rs 2.50-crore bathroom, says the phenomenon has taken wings in the past decade or so. She attributes this penchant for spending on bathrooms to the convergence of two factors. "By travelling and staying in top hotels across the world, Indians began to experience luxury like never before and they wanted to bring that luxury home," she says. "And with almost all the top global brands available in India, it has become easy for them to convert this aspiration into reality." Out of the ordinary: A bathroom with a Marilyn Monroe portrait (you can have your portrait done, too), and a shoe-shaped bath tub designed by Massimiliano Della Monaco. How much can one spend on a bathroom? "Sky is the limit," says Ansal. She is not exaggerating. 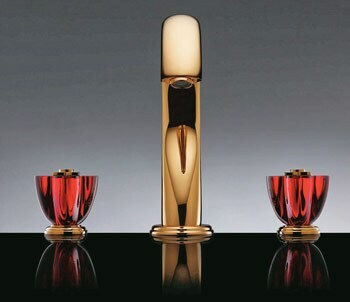 Consider this: a single tap from French brand THG's Baccarat Crystal collection (it features a red Baccarat crystal obtained alchemically by adding gold to special elements at specific temperature) costs Rs 24 lakh. A Baldi crystal basin made from a single rock crystal unearthed from the Amazon rainforests costs Rs 95 lakh. An Audrey shoe-shaped bathtub from SICIS of Italy, created by designer Massimiliano Della Monaca, can set one back by Rs 65 lakh. SICIS also offers a limited-edition Marilyn Monroe portrait that can adorn the bathroom at Rs 25 lakh apiece. 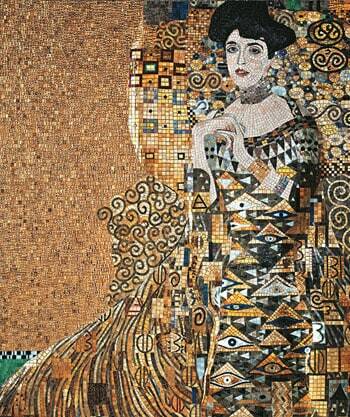 In fact, one can even customise the bathroom by getting ones own portrait done using exquisite mosaic. Chandeliers (yes, they are now part and parcel of top-end bathrooms) by Barovier & Toso can cost as much as Rs 1.50 crore. And those who do not have the time and patience to handpick brands and design their bathrooms can opt for Lineatre, an Italian brand that offers custom-built bathrooms. Its Gold Modular collection, for instance, will cost about Rs 1.80 crore. Among the preferred designs and styles for luxury bathrooms, a classic finish is typically over the top. They are spacious with a design inspired by history and replete with artistic details and use of precious and semi-precious stones. "These bathrooms cost a bomb and Indian are increasingly preferring them," says Khan. A classic bathroom can cost upwards of Rs 2 crore. Still, the most preferred option is the contemporary classic. "Such bathrooms have a muted finish. They are not so modern and have a touch of classic finish. They are also not very minimal like the ultra-modern bathrooms," explains Vinita Chaitanya, a Bangalore-based interior designer who recently designed actor Deepika Padukone's home in Mumbai and whose other clients include Biocon Chairman Kiran Mazumdar-Shaw and Infosys Co-founder NR Narayana Murthy. The urge to experience luxury has also won over the conservative mindset of south Indians when it comes to spending on bathrooms. Chaitanya recently completed designing a bathroom for a businessman based in southern India. The bathroom has a gold-plated SICIS mosaic panel that cost Rs 40 lakh and Onyx marble cladding (costing Rs 3,000 per square feet) on all sides. Overall, the businessman spent close to Rs 1 crore on the bathroom alone. "In the last 10 years people from southern India have also started to spend," says Chaitanya. This fills Khan, the Water Works partner, with optimism. "India is going to be a big luxury bathroom market," he says.